FRIENDS was created to be a support organization for the Decorah Public Library. 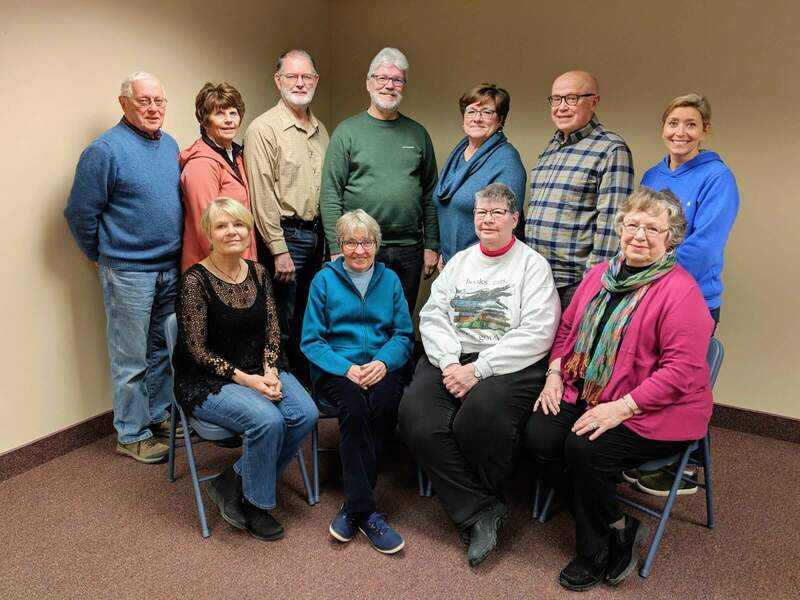 FRIENDS helps raise the awareness of the Library in the community, and supports and sponsors many programs within the Library as well as doing work 'behind the scenes' to help make the Library a facility relevant to all the residents of the greater Decorah area. New furniture in the "postal room" at the Decorah Public Library was donated in part by the Friends. 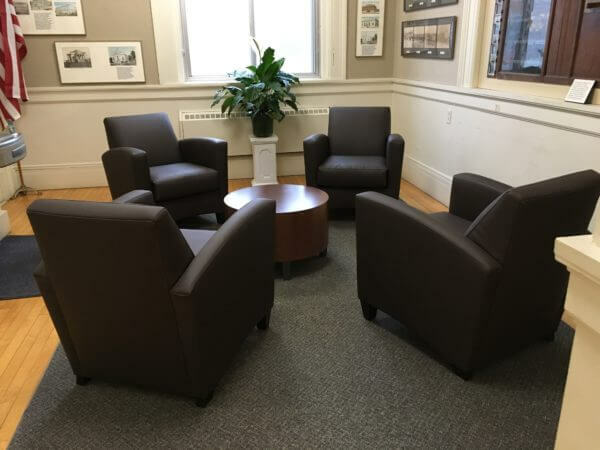 Visit this cozy space which tells the story of this historic library building and try out the comfortable chairs! The Monday Club recently presented the Friends of Decorah Public Library with a $2,200 donation. The Monday Club has been a staunch supporter of the Decorah Public Library for over fifty years. 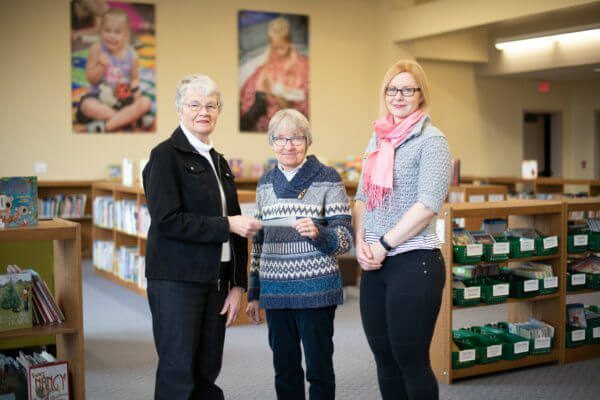 Pictured are Monday Club President Barbara Amundson, Friends of Decorah Public Library President Jane Kemp, and Decorah Public Library Director Kristin Torresdal. 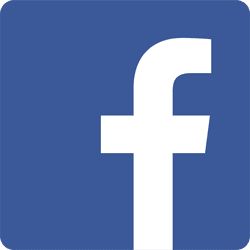 Mission Statement: It is the purpose of the Friends of the Library to promote and enhance the Decorah Public Library and its programs for the leisure, entertainment and personal life-long learning of the citizens of Decorah and greater Winneshiek County.